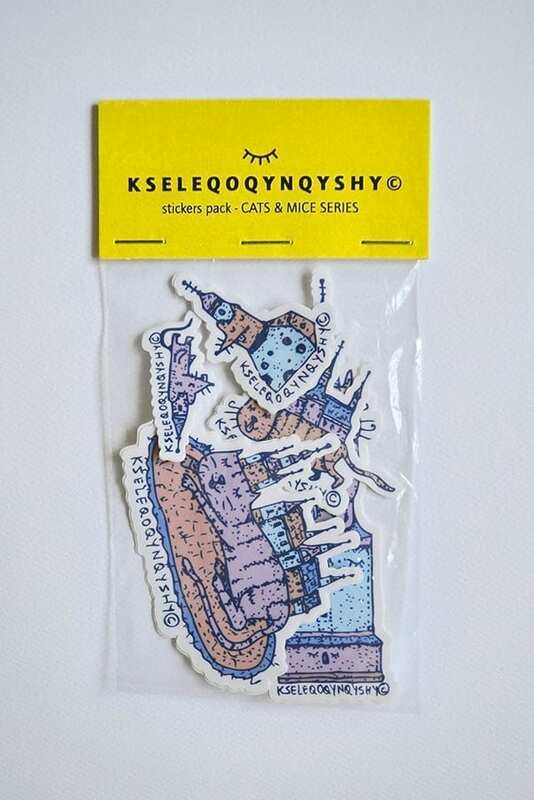 We’re excited to offer for purchase a custom “Cats & Mice” Stickers pack by Romanian artists Lucian Niță – KSELEQOQYNQYSHY. Lucian Niță is the author behind the visual project KSELEQOQYNQYSHY (Casele cu Ochi Închiși / Houses with Eyes Closed). 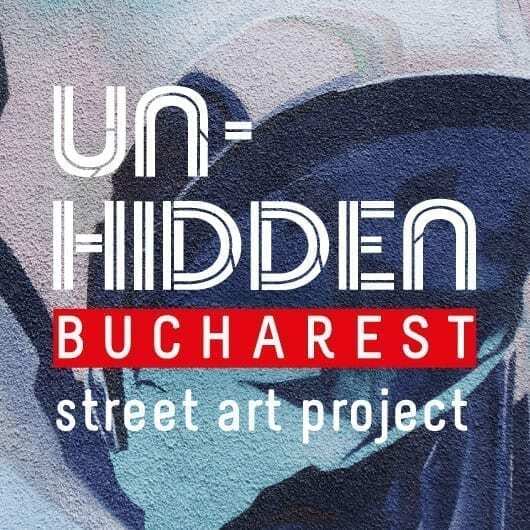 The project is an active one, and it manifests through personal exhibitions (Bucharest, Varna); the participation at the Street Delivery Festival Bucharest 2018 with an impressive mural; a mural collaboration in Budapest with SUNSHINERS & TUS. Lucian Niță is one of the winners of Un-hidden Bucharest Open Call 2018, creating an outstanding mural graciously hosted by the Faculty of Sociology and Social Work, University of Bucharest, Bd. 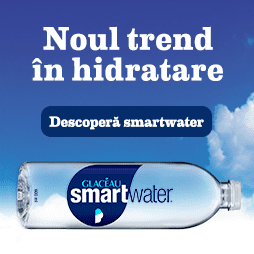 Schitu Măgureanu, nr. 9. 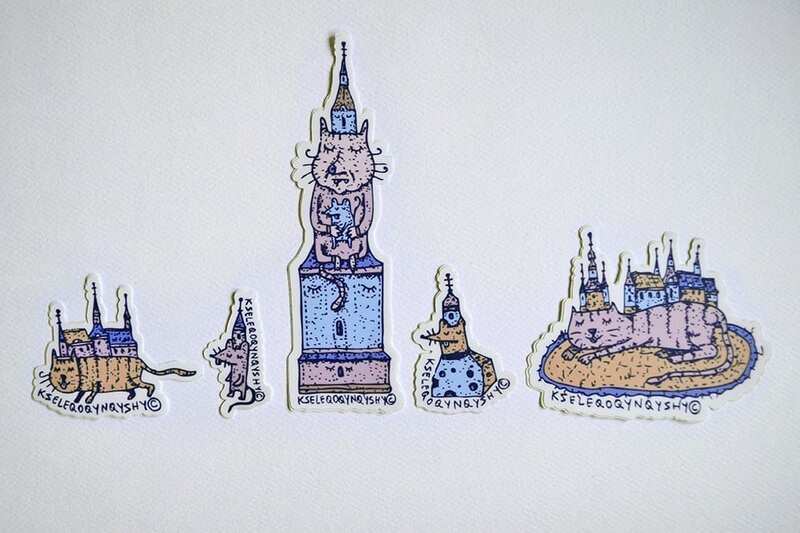 The author illustrates a fantastic world, full of imaginary symbols and characters. KSELEQOQYNQYSHY presses a visually-aware journey, transposed in a ludic manner, offering “viewers” an unusual experience combined with elements of mysticism.